We make it work for your business. Your current system for managing files is wasting your time and others (and your company’s money). You can’t easily collaborate across departments. It takes forever to find that file you need. Oh, and the server just crashed… again. You’re not alone. We see it all the time. Document management tools can quickly become outdated. Don’t try this at home (or at work). ✓ Storing documents will be blazing fast. ✓ Organizing documents won’t take a rocket scientist. ✓ Finding the right file or template will be as simple as searching Google. ✓ Collaboration can actually happen, anytime, from anywhere, on desktop or mobile. ✓ Multiple users will be able to edit a file at the same time. ✓ Workflows will be seamless. ✓ User Permissions: Unauthorized file access will be a thing of the past. ✓ Data can be pulled in from other software used by your company. Managing document metadata will be a breeze. ✓ Compliance through records management won’t be intrusive. Employees love SharePoint much more than traditional file servers. Did we mention that you will have better access to your company’s data and easily be able to report on key metrics? Yep, it’ll make your job easier while saving the company money. In fact, here’s our list of the top 10 reasons to use SharePoint for document management. However, these benefits only happens if you properly implement SharePoint and integrate it with other company systems. SharePoint can be tricky to set up in a way that works seamlessly for your specific organization. It doesn’t come that way out of the box. Yep. You’ll actually jump for joy… while wearing a suit. Ensure the consistency of documents. Security: If you are managing by email, then chances are good that you’re blasting your company with sensitive information. Management by email is not only cumbersome and ineffective, it’s also not secure. From a security perspective, it’s a lot safer to leave important documents behind a firewall where employees can get it when they need it, instead of sending it through email. Single Sign-On: SharePoint is also great at giving you access to all the apps you need with one sign-on. Instead of continuously signing into different systems and software, SharePoint is your single sign-on. Version History: Again… if you’re managing by email, there is a better way! Another thing that SharePoint can really help with is version history. Sometimes in corporate environments, a document will be emailed back and forth and it gets difficult to determine which is the most up-to-date version. With SharePoint, you can check out documents, have employees edit them, and then check them back into SharePoint. Automation: According to Microsoft, a SharePoint workflow is like an automated flowchart that takes a lot of the labor, guesswork, and randomness out of standard work processes. SharePoint can ensure employees have the appropriate approval to access and edit the document, removing the guesswork from employees. However, SharePoint can be tricky to implement. We have the experience to help. See how our expert SharePoint consultants and developers can make it a breeze. Microsoft responded early to the coming age of data overload. SharePoint was created to manage your documents at your company. If you have a large organization (like a construction company or commercial real estate firm) and you’re managing your documents without a system like SharePoint Online (in Office 365), your documents are probably unorganized, in a variety of systems, and difficult to find. Storage systems like Dropbox and Google Drive do work very well for some. However, they are far from ideal when your company needs to share files and collaborate efficiently across different departments, or externally with contractors or vendors. Not having a document management system or the collaboration tools to keep everything organized and secure will end up costing you in the long run. What you need is a document management system that will place your files in a hierarchy. Microsoft Office 365 has a built-in document management system… it’s called SharePoint Online. If you get the right SharePoint consultant who knows document management, the information you need is organized and at your fingertips. This dramatically increases productivity. You can make decisions faster with the right information easily accessible. 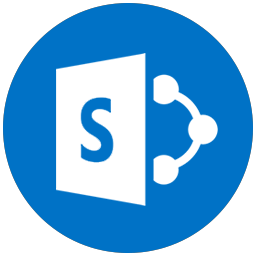 Find a SharePoint expert who will customize SharePoint to meet your needs and that can integrate it into your other systems. We’ve helped over 200 companies. Roll out your vastly-improved method of managing documents and projects. Continuously improve how SharePoint works, making your employees even more efficient and your processes stronger. HingePoint’s custom SharePoint consulting, development, and integration services have helped many companies eliminate the pain caused by unorganized document structure. Those same customers have transitioned into a more organized, productive organization through automated workflows and easy-to-search information.